If it is determined that the amount of risk being taken by a firm needs to be altered, it is extremely important for the management team to be disciplined in the execution of risk mitigation. Not all risk mitigation is created equally, and there is not a one size fits all approach. Instead, our team will work with each company to determine the best methods for reconstructing the size of their risk. We have a strategic relationship with industry-leading firms, who specialize in executing futures and/or options strategies with technological expertise rarely found in the agriculture sector. Compass Hedging is an introducing brokerage firm offering traditional risk management for agricultural producers through commodity hedging, but with a customized, personal approach. Our company is driven by our values and the relationships we have and continue to build with our clients. We clear all our trades through R.J. O’Brien. Our allied company, Compass Ag Solutions, provides expanded consulting, risk management and analysis services. Jason was raised on a fourth-generation farm and feedlot operation in Northern Colorado. Jason attended Colorado State University where he acquired a BA in Animal Science with an emphasis in Agriculture Economics. He then joined the team of analysts at Cattle‐Fax where he expanded his knowledge of the cattle industry. Soon an opportunity to join the Risk Management team at RJ O'Brien became available and Jason made a transition. Jason continues to grow in his understanding of risk management as his client base expands. It was his vision to provide a suite of tools that would complement futures and options execution, so Jason launched Compass Ag Solutions which is a full-service company with a variety of tools to help Ag producers manage their risk. With intense intentionality, Jason has continued to grow Compass Ag Solutions by adding some of the best team members in the industry. He has never been more excited than today about who Compass Ag has become, and where Compass Ag is headed. Jason and his wife, Cheri, live on a farm north of Fort Collins, Colorado where they raise their four kids, Kyli, Tyler, Mataya and Clay. Bryan is from Oklahoma where he grew up involved in stocker cattle, cow-calf, and wheat farming operations. 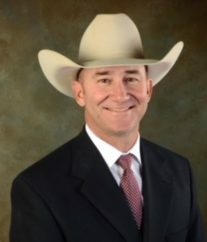 He holds a Bachelor of Science degree in Agricultural Economics from Oklahoma State University, an M.B.A. from the TCU Neeley School of Business, and is a graduate of the TCU Ranch Management Program. 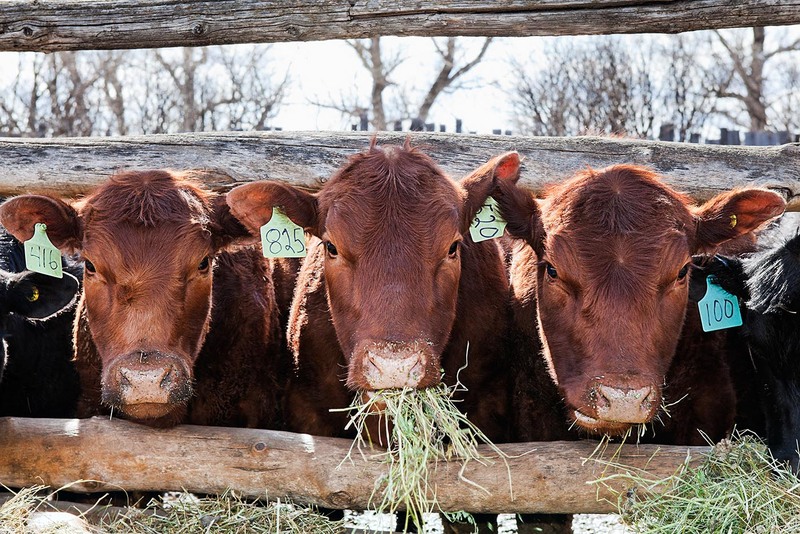 Bryan began his professional career with National Farms Inc. where he managed a commercial stocker-feeder cattle operation with locations in Kansas, Oklahoma, and Colorado. Bryan then joined Cattle-Fax as an analyst, and he worked specifically with Colorado and Western Nebraska feedyards, as well as, ranch operations in the southern portion of the U.S. This experience provided an opportunity with the TCU Ranch Management Program where he worked as an instructor and director of the Institute of Ranch Management for five years. 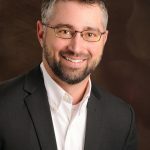 Bryan returned to production in 2006 as Associate Director of Agribusiness and Livestock Operations for Bass Companies. Here he managed the stocker-feeder cattle and farming businesses in Texas, Oklahoma, and Kansas. 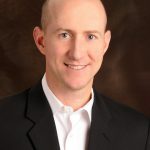 More recently, Bryan served as Chief Operating Officer for Peyton Holdings Corp. where he led a diversified group of companies involved in agribusiness, energy and real estate in Texas, Oklahoma, Nebraska, Florida, and California. Bryan brings extensive experience in agribusiness and energy from various regions, and understands the strategies behind them that result in success. He and his wife Heidi live in Fort Collins, Colorado with their two sons Joseph and William. Travis grew up on a cow-calf operation in southern Alberta. He attended the University of Lethbridge, where he majored in Agricultural Economics. While attending university, Travis interned at Western Feedlots in High River where he rode pens, treated sick cattle, drove a feed-truck, and worked in all aspects of day-to-day feedyard operations. After graduation, Travis worked with Landmark Feeds where he formulated premixes, minerals, and supplements while learning about practical feedlot nutrition. Travis returned to Western Feedlots overseeing feeder cattle procurement and feed cattle marketing. After seeing the need to broaden his skillsets, Travis went to work with JBS Five Rivers Cattle Feeding in Dalhart, Texas. He was later promoted to cattle procurement business analyst for JBS-Swift in Greeley, Colorado. Travis quickly worked his way up to the head of cattle trading position at JBS where he was deeply involved in hedging, risk management, and trade execution for their North American beef packing plants. Travis and his wife Rimini live in Loveland, Colorado where they raise their five children. Brandon was raised on a farming operation in Northeast Colorado where he became directly involved and invested in the cattle industry from an early age. He is still involved in the family business along with his wife Cheyenne. He attended Colorado State University and studied Agriculture Economics and Business Finance with a specialty in investment analysis. Brandon’s goal is to always understand the client’s business first and foremost, then evaluate the market in relation to the risk management plan. Brandon's focus is on the cattle and grain markets. Britt grew up on a ranch and a feedyard in New Raymer and Merino, Colorado. Britt has been involved with her family’s cattle operation her entire life. She graduated college from Colorado Christian University in 2009 with a bachelor’s degree in Elementary Education. She quickly realized teaching was not the direction she wanted to pursue. She came back to the family business the same year and managed the office operations for McEndaffer Cattle Co. In May of 2011, Britt went to work for Dan May at LaVaca Cattle Co. in Littleton, Colorado. It was there she discovered her love for the markets. 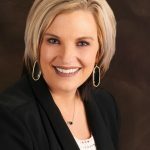 Shortly thereafter, she became the risk manager at McEndaffer Cattle Co. Britt specializes in livestock markets, but she is also familiar with farming, cattle buying, corn buying, and distiller’s grains. She loves to travel to cattle sales all over the country. Britt and her husband Morgan, along with their two sons Walker and Hudson, live a mile from their family’s feedyard in Merino, Colorado. Joe Richards is the owner and manager of Diamond Cattle Feeders in Hereford, Texas. This 15,000 head feedyard is located in the heart of cattle feeding country. Joe and the crew at Diamond Cattle Feeders pride themselves on providing personal customer service and great cattle care. 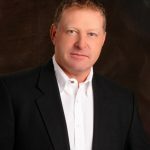 In 2014, Joe began to offer complete risk management services to his cattle feeding customers as well as others when he joined IFG as a broker and branch office. 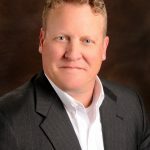 Joe earned his Bachelor of Science degree from Texas A&M University in 1994 and his Masters of Agribusiness from Sam Houston State University in 1996. A native of Fairfield, Texas, Joe grew up on the family ranch and learned the value of hard work and long days from the many hours he spent in the back of his family’s livestock auction in Buffalo, Texas. Joe and his wife Brandi have two girls. Madalyn and Lucy. Both girls play basketball, run track and rodeo extensively keeping their parents continually on the move. RJO Branch Office 422 offers futures and options execution for Canadian producers. R.J. O’Brien & Associates, LLC is the oldest and largest independent futures brokerage and clearing firm in the United States. Our direct connection with RJO allows us to provide industry leading expert futures and options strategy execution for those producers outside of the United States. This material has been prepared by a sales or trading employee or agent of Compass Hedging, LLC and/or R.J. O’Brien & Associates LLC and is, or is in the nature of, a solicitation. This material is not a research report prepared by Compass Hedging, LLC and/or R.J. O’Brien & Associates LLC. By accepting this communication, you agree that you are an experienced user of the futures markets, capable of making independent trading decisions, and agree that you are not, and will not, rely solely on this communication in making trading decisions. The risk of loss in trading futures and/or options is substantial and each investor and/or trader must consider whether this is a suitable investment. Past performance, whether actual or indicated by simulated historical tests of strategies, is not indicative of future results. Trading advice is based on information taken from trades and statistical services and other sources that Compass Hedging, LLC and/or R.J. O’Brien & Associates LLC believes are reliable. We do not guarantee that such information is accurate or complete and it should not be relied upon as such. Trading advice reflects our good faith judgment at a specific time and is subject to change without notice. There is no guarantee that the advice we give will result in profitable trades.